Prety hard to give advice when we have nothing to see or work with, issues of this nature really need a live url link to the problematic page/site so we can check the source code. As a pointer in the meantime, have a look at the thread link below and see if that helps. As I posted in your other thread, I can't really check much with being away from my normal work station, however, one thing I have picked up on and that is you've posted this request in the parallex template category yet the template you are using is the Excell template. 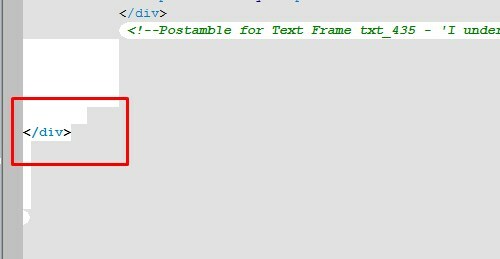 When you first post, please make sure you use the right dropdown box for the correct template you are using otherwise we maybe giving you the wrong code edits needed for resolutions to any problems you may have. I can't see any unclosed tags, which is normally the problem when items can't be centered, though admittedly the text would be way over to the left. It seems the text for 'Please hover over the pictures for more info' is centered but the text box isn't large enough, could the box just need making bigger? the text box looked big enough to me, but I stretched it bigger to no avail. I have recently viewed the site on a second tablet and all looks fine. I have also viewed it on a 21" iMac - problem exists. I...(it's all about me today!) tried to email you the WPP file but Google blocked it as a potential virus spreader; there was an option to upload it to Google Drive and send it as a Drive Attachment - would this be any use to you? Note: If you try to attach a document that is too large, your message won't send. Learn more about attachments and file size limits. Turns out there is a stray closing div causing the issue. If you press Alt + S scroll down to find this piece of code and remove it, all should be good! Neil (& Mick) yr amazing...I can't thank you enough!